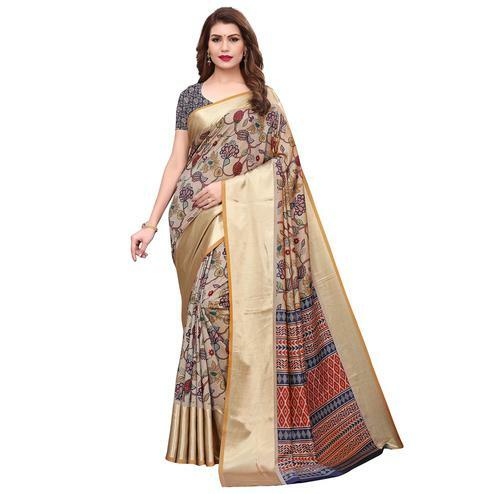 This georgette saree in brown with contrast orange color is beautified with digital print & solid color panel as shown. 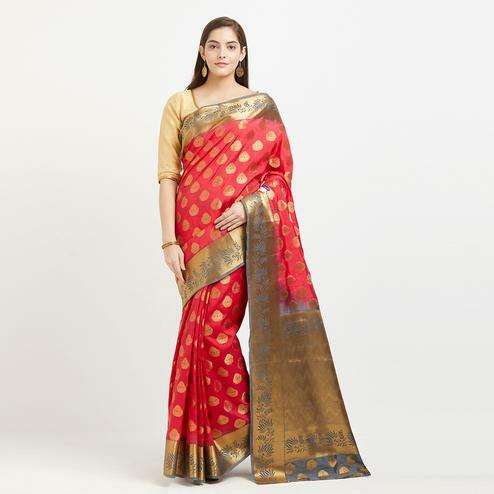 Saree paired with matching coloue banglori silk and net fabric blouse piece having similar design. 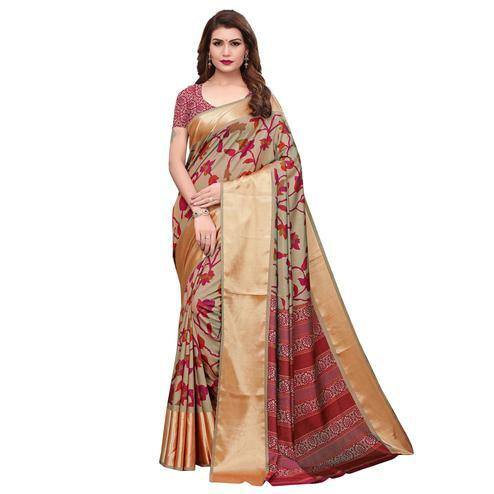 This lightweight and durable saree is a perfect pick for your casual wear.